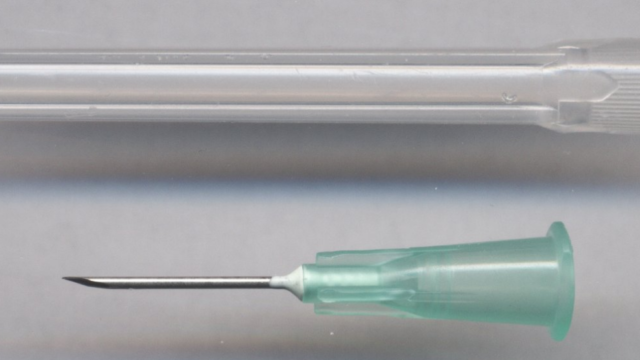 An example of a hypodermic needle, not the one from the story. Orange County supervisors unanimously voted Friday to seek a temporary restraining order to block a needle exchange program scheduled to start on Monday. By law, the earliest a judge can rule on the request is Monday, County Board Chairman Andrew Do said. The planned needle exchange is an expansion of one that passed out syringes to drug addicts in Santa Ana’s Civic Center area from 2016 through January 2018. Now the nonprofit behind the program wants to pass out needles in Anaheim, Costa Mesa, Orange and Santa Ana. 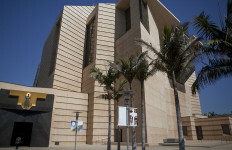 The Costa Mesa City Council agreed Friday to join the lawsuit. Council members also directed their attorneys to quickly draft an ordinance in time for their Tuesday meeting declaring a moratorium on needle exchange programs in the city. Do said the county has “taken significant steps to clean up our streets” with its efforts to help transients move into shelters and more permanent housing. Supervisor Shawn Nelson railed against recent environmental efforts to reduce plastic in landfills by charging patrons for plastic bags in stores and corporate pledges to cease issuing plastic straws for drinks while the state authorizes a plan that he said could generate more pollution. “I’m an average citizen who can’t be trusted with a plastic bag … because it could end up on the street,” Nelson said. “And you can’t trust the public with plastic straws — they could end up as litter. Nelson said he was pessimistic about the county’s chances of prevailing in a lawsuit against the state. He called on the advocates for the program to “put your name” on the needles so officials could ascertain who would be responsible for cleaning them up. Nelson also argued that it’s not a true exchange because 20 needles can be handed out for each one turned in. Spitzer claimed that violent crime has shot up in the county due to initiatives to reduce prison overcrowding and that the program is an offshoot of a trend to decriminalize drug offenses. Bartlett argued that the program “does not help people recover from drug addiction,” and called on state officials to address the core issue of addiction instead of treating symptoms. “Somehow we need to revamp the program if the program is going to stay in place,” Bartlett said, calling for a specific biohazard disposal plan to be enacted. Orange County District Attorney Tony Rackauckas offered to help the board in its legal efforts. “I pledge our full cooperation and assistance and I think that we can shut this program down,” Rackauckas said. Rackauckas argued that the needle exchange program will only encourage more drug use. Do said earlier this week he believes officials in Anaheim, Costa Mesa, Orange and Santa Ana will join the county’s litigation. The California Department of Public Health, Office of AIDS authorized the program in a recent letter, saying there is a need to address the spread of disease. State officials, however, advised the nonprofit organization running the program to work with the Orange County Health Care Agency to reduce the level of discarded needles. And the state pledged to keep working with local leaders on the used-needle litter issue. The program would be offered in Anaheim on Mondays and Thursdays from 2 to 5 p.m.; Wednesdays and Sundays from 10 a.m. to 2 p.m. in Costa Mesa; Tuesdays and Fridays from 2 to 5 p.m. in Orange; and Wednesdays from 2 to 5 p.m. and Saturdays from 10 a.m. to 2 p.m. in Santa Ana. Do said the Anaheim location has eight schools nearby. — East Fourth Street, North Standard Avenue, Walnut Street and North Grand Avenue in Santa Ana. Orange County has been deemed “among the California counties most vulnerable to rapid spread of injection drug use-related HIV and HCV infections,” state officials say. “Newly reported cases of chronic hepatitis C increased by 201 percent between 2011-15 in Orange County, and the rate of newly diagnosed HIV cases per 100,000 population increased by 24 percent between 2012 and 2016,” the state said in the letter. Also, “very few” pharmacies in the county provide non-prescription syringe sales, according to the state.